A charming French-born actress named Anna Held suggested the idea for the Ziegfeld Follies. 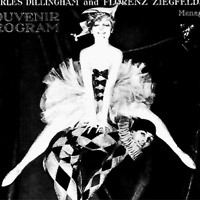 Held inspired Ziegfeld to create a musical revue like the ones she had seen in Paris, featuring pretty chorus girls, chic costumes, and comedy. Why not? American girls were "the most beautiful girls in the world," she said. In New York, Ziegfeld produced the first of the spectacular Follies, the Follies of 1907, starring--who other than?--Anna Held. It was a hit! The popular Follies continued, updated each year until the Great Depression. Here's a hit from the Follies of 1913.